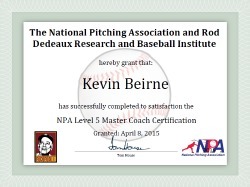 The National Pitching Association philosophical approach is to master information, instruction, and mentoring athletes. 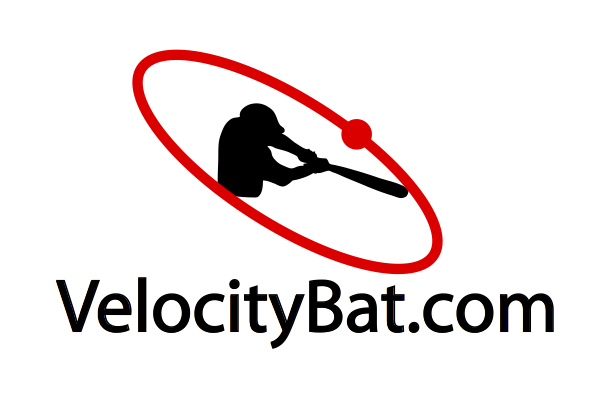 We are the only privately owned science-based coaching entity in the USA with the 3-dimensional motion analysis technology — statistically validated model and IRB (institutional Review Board) to be certified. we will train movement that is specific to your sport. Rotational athletes need to train to what they do. Foundational fitness (weak-link training) your only as strong as your weakest link and only as efficient as your worst movement. neuro-muscular thresholds and how to break them. what is GFP, Torque, and functional strength mean and how to use it and improve it. we will offer P.I.T. point in time capacity. This assessment tells what your lower half contributes, upper body, and their arms contribute. All three of these are the key components to health and performance. we also offer our patent pending video vector analysis. Which tells us how many MPH are lost in delivery. Cost: $50 a day or $150 for 4 days a week. With 3,000 square feet turfed and fully netted, we now have everything you need in one place, so please come join us! 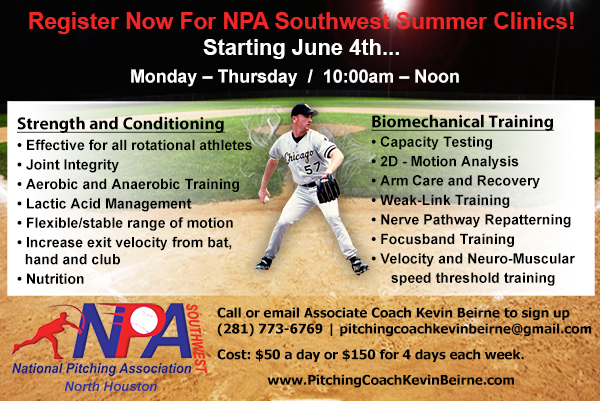 Call Associate Coach Kevin Beirne at (281) 773-6769 to sign up or click here to contact us. Limited spaces due to demand so its first come, first serve.